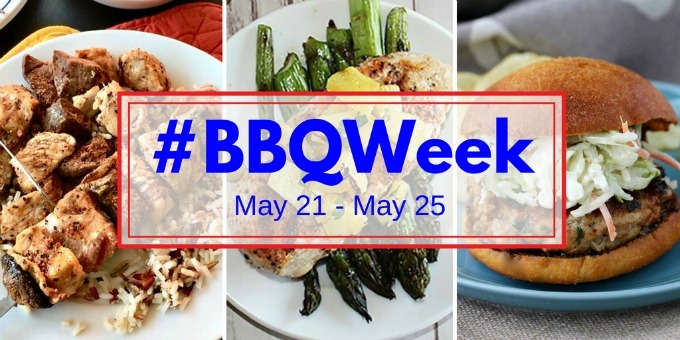 #BBQWeek is winding down. 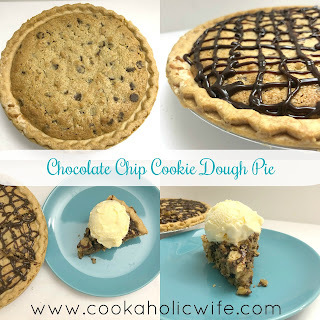 After today, I only have one more recipe to share with you! 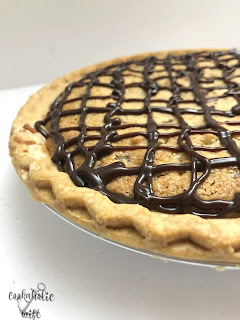 While I cook as much as I bake, my go-to items to bring to BBQ’s and parties are always desserts. 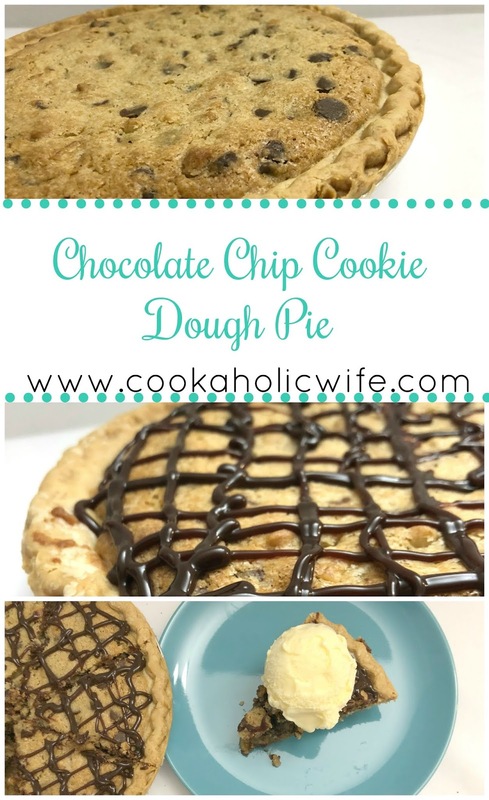 I couldn’t pass up this week without sharing an easy dessert recipe with you that’s perfect for any party. I’d wanted a chocolate dessert lately and when this pie kept popping up in my Pinterest feed, I took it as a sign that you all would want it too so I should make it. This is definitely one of the easiest pies I’ve ever made. 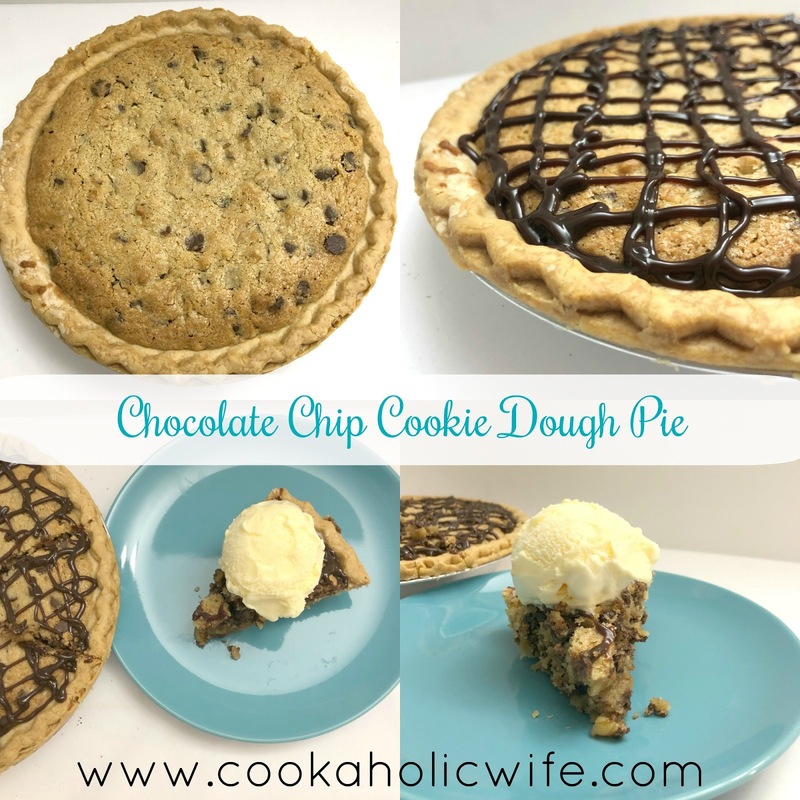 It starts off with a deep dish frozen pie crust, is topped with a simple chocolate chip cookie batter and then once it’s baked, it’s drizzled with hot fudge. 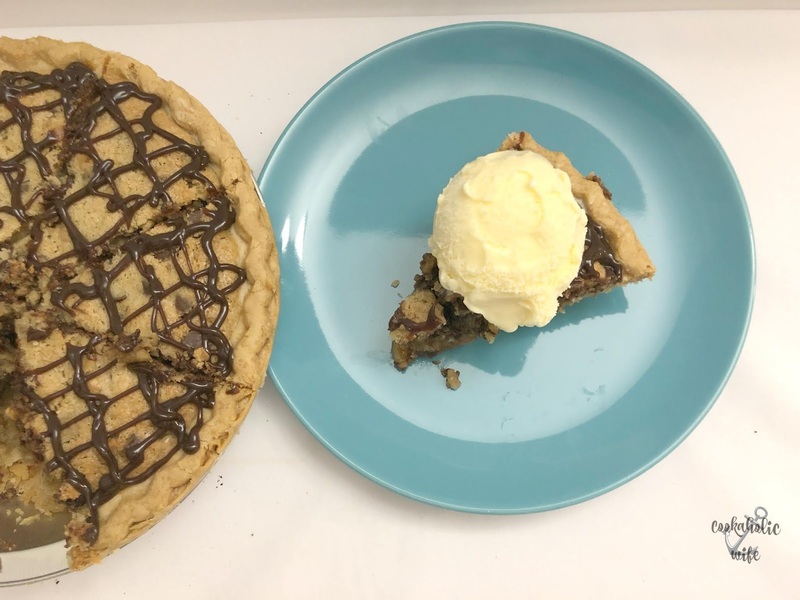 Of course it pairs perfectly with a scoop of vanilla ice cream, but if you devour a slice of this pie without the ice cream, I promise I won’t judge you. 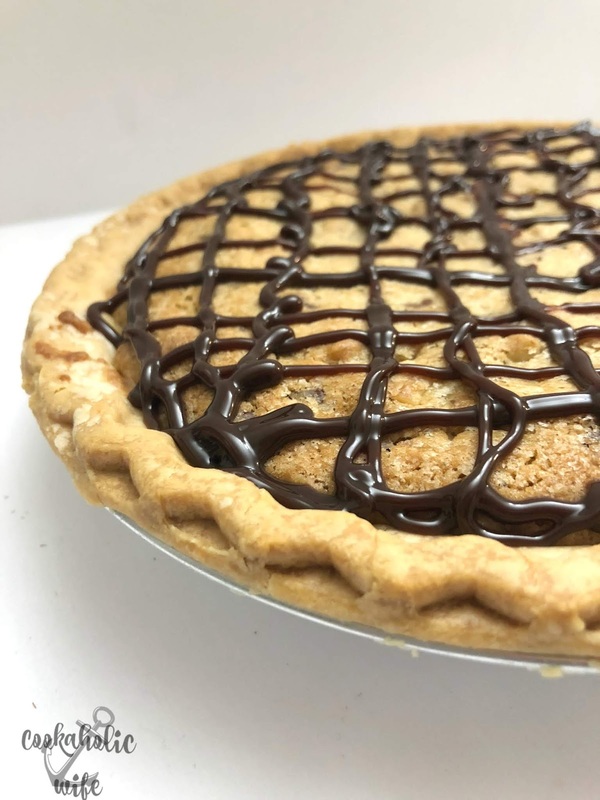 A decadent pie filled with cookie dough and topped with a chocolate syrup drizzle. 1. Preheat the oven to 325 degrees. Set the pie crust on the counter to warm up while you prepare the filling. 2. In the bowl of a stand mixer, beat the butter, sugar and brown sugar on medium speed until combined. Add in the eggs and mix until combined. 3. Add in the flour and salt, scraping down the sides if needed. Mix in the chocolate chips and walnuts. 4. Spread the cookie dough mixture into the pie crust, spreading the top to make it even. 6. Let cool for at least 2 hours. 7. Place hot fudge in a microwave safe dish and microwave for 10-20 seconds, until it is just runny enough to drizzle. 8. Transfer to a piping bag (or ziploc bag with the edge cut off) and drizzle hot fudge over the cake. 9. Slice and serve, topped with vanilla ice cream. 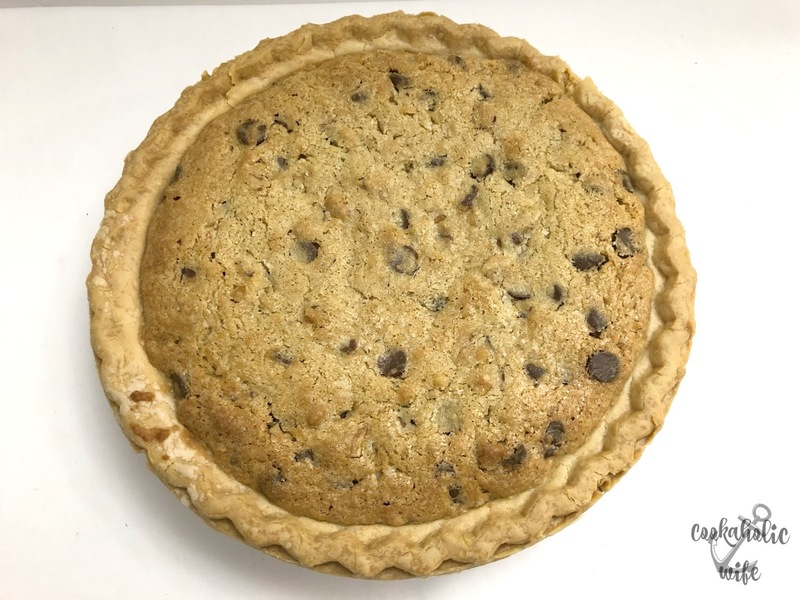 OMG this pie! While you do need a lot of patience since it cooks for nearly an hour and then cools for two more, I can promise you that it is well worth the wait. As I’ve said a gazillion times, I don’t always eat the desserts I make, but this pie was just calling to me. I cut myself a sliver and topped it with ice cream and then debated on hiding the entire thing in the freezer to not share with anyone else. That’s how good it is! Still haven’t entered to win the awesome prizes? You’re running out of time! We grill out at least a couple times per week. I love the taste of grilled food! It is just amazing! Perfect for a scoop of ice cream after the cookout! This looks pretty incredible. I'd definitely save room! This is going to be a huge hit here. There's always room for pie! Holy moly…now this just looks crazy yummy!! !